On Monday I shared some tips on visiting Valley Forge. I like to include just a teensy bit of history in these posts as a refresher course on why you should add these places to your must-visit list. On Wednesday I told a tale about my recent garbage and thrift store finds. I’m having a lot of fun right now creating a home that is not cookie-cutter. Apparently, digging in the garbage for home decor helps with that mission. Go figure! Now, speaking of cookie-cutters cookies! Here’s the Happy List. I’m a rebel because at the height of apple and pumpkin season, I’m sharing a coconut recipe. 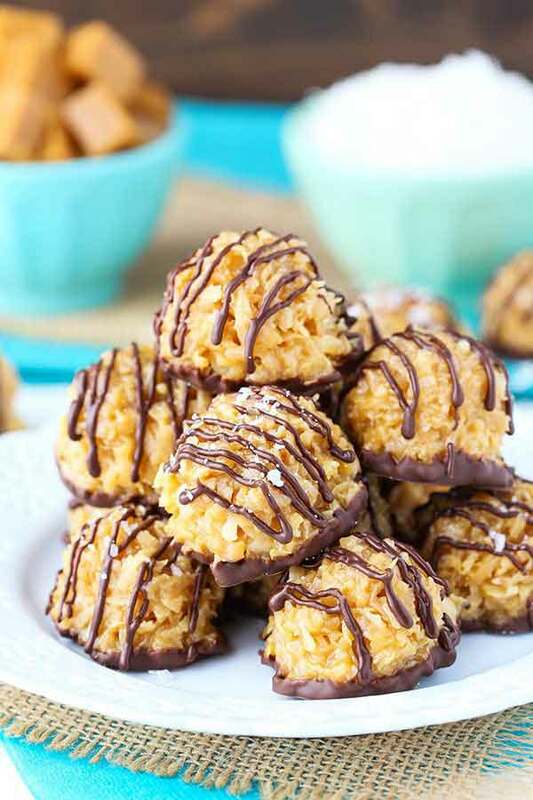 This no bake recipe for Salted Caramel Macaroons by Life Love and Sugar looks delicious. I haven’t noticed this feature in American kitchen design much, but in UK design I see skylights in the top of vaulted ceilings quite often. It makes sense in climates that see a lot of dreary days. 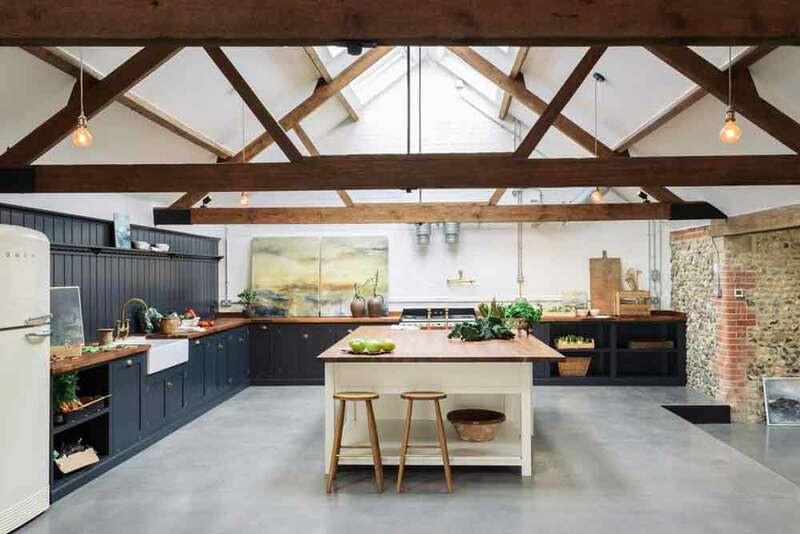 More pictures of this gorgeous space can be found at DeVOL Kitchens. Last week I shared a tip by Rain on a Tin Roof and this week I have another one. I’ve fallen down the rabbit hole discovering Jenna’s amazing ideas and I’m not sad about it! 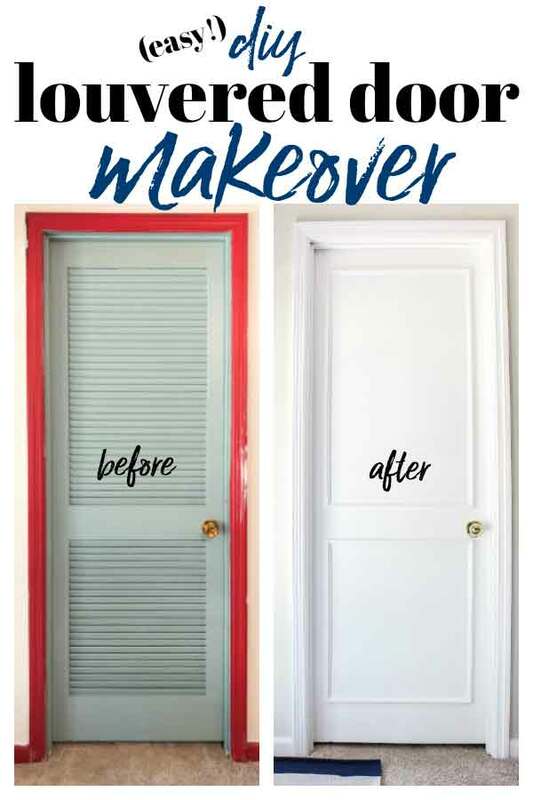 I’ve dusted and painted many a louvered door in my time. I never did think about how to makeover one. Go to Rain on a Tin Roof to find out how. Doesn’t this look like an amazing place to sit and swing and enjoy the view at Zion National Park? More photos from glamping at Zion National Park can be found here. 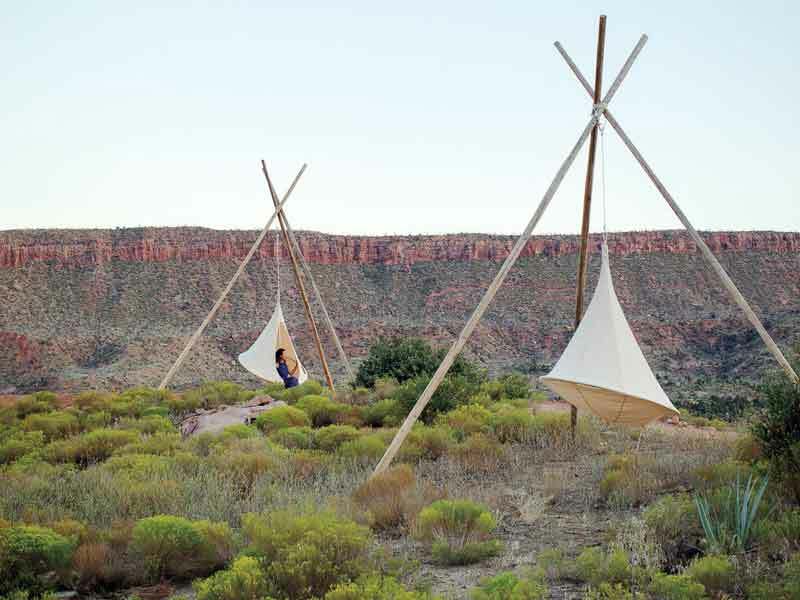 By the way, glamping is the only kind of camping I’m even remotely interested in doing. I just discovered this Instagram account by Jackie Greaney. I’m just captivated by how different it is and wonder if people really live that way or is it all for the tourists? Also, look at those beautiful horses. 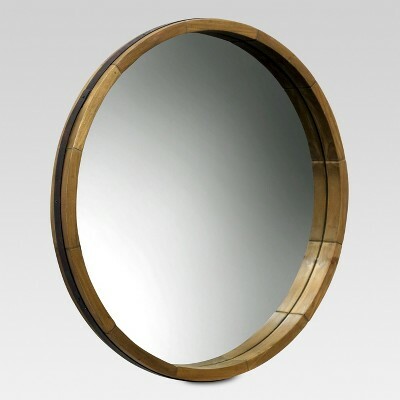 If you want a touch of rustic texture in a mirror, Target has you covered with this wood barrel mirror. And it’s only $39.99 for a 2-ft. mirror! I hate to admit that I had to look up the meaning and pronunciation of chinoiserie. It is the European interpretation of Asia culture and decorative arts. See? I can learn stuff while blogging and crafting. 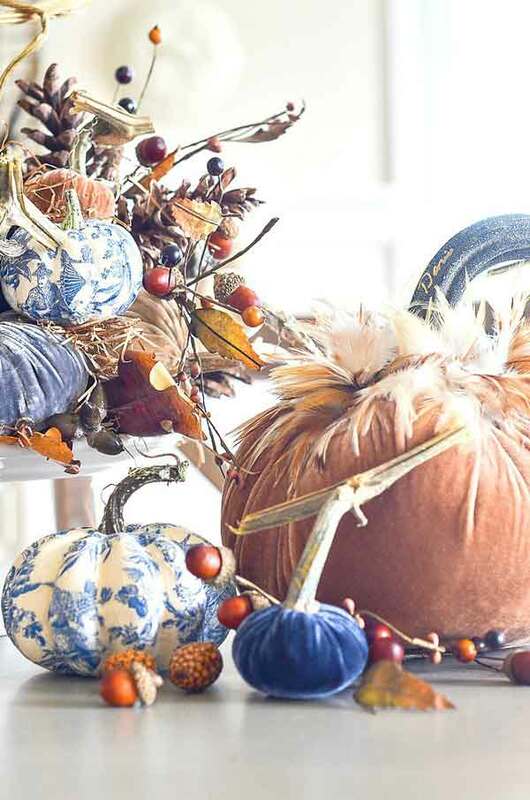 I loved this tutorial for chinoiserie pumpkins by Yvonne at Stone Gable. Also, she creates a gorgeous centerpiece, doesn’t she? I’m reading a book with my daughter that has introduced her to the poetry of W.B. Yeats, so here’s a Yeats’ poem you might have heard the ending of, but it is much more beautiful in full context.